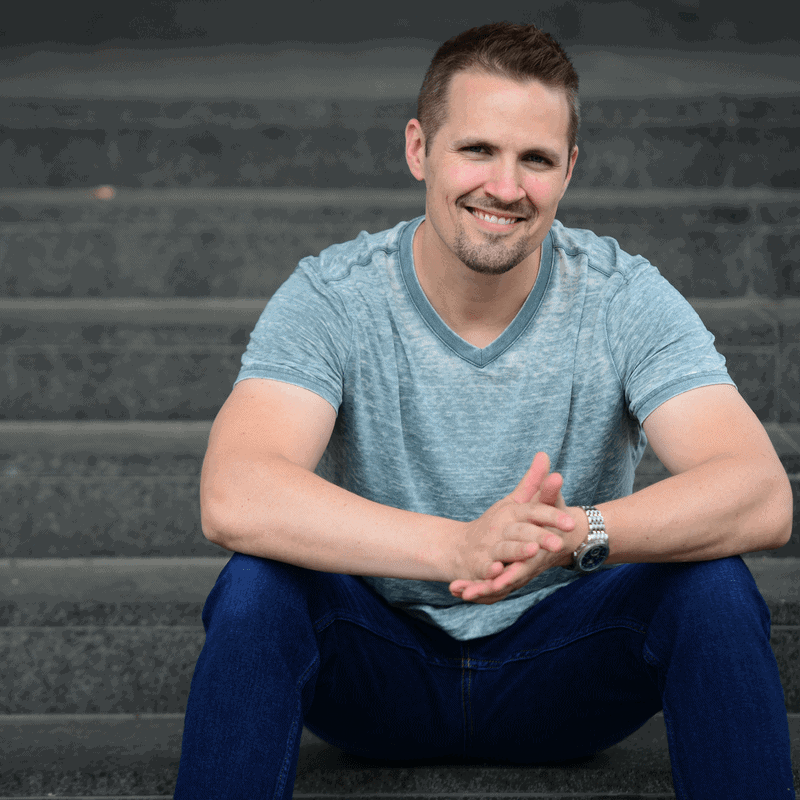 If you're in the business of buying real estate from highly motivated sellers, it'll only be a matter of time before you encounter someone who is trying to sell a property they don't own. I've encountered A LOT of motivated sellers over the years who have contacted me with the hope of selling a property that was owned by their deceased family member(s) – perhaps a parent, grandparent, aunt or uncle. In most cases, these individuals had been paying the property tax bill or maintaining the property in the years since the original owner passed away and as a result, they assumed that they were the rightful owner simply because they had been doing all the work and treating it like their own. What they didn't understand was that legally speaking – this didn't entitle them to anything. If a property is still titled in the name of the original owner and no subsequent paperwork has been completed or filed with the county, there's a good chance that this seller doesn't have a right to sell the property any more than YOU have a right to sell the Empire State Building. For example, let's say you're talking with someone (we'll call them, “Person C”) and they're trying to sell you a property that is technically owned by two dead people (e.g. – their parents, we'll call them “Person A” and “Person B”). If you understand how the chain of title works, you can't just accept a deed from Person C to yourself and call it good. The chain of title needs to pass properly from the deceased owner (in this example, Person A and Person B) to the person who wants to sell the property (Person C), and THEN from that individual to yourself. The chain of title CANNOT simply skip over Persons A & B with no mention of how Person C ended up in the driver's seat. Unless the correct documentation connects the transfer of title from Persons A & B to Person C, Person C has no legal right to sell the property (even if they've been paying the property taxes and taking care of the property for years on end) and without the right documentation, any deed you accept from Person C will be worthless, because they never owned the property in the first place. Disclaimer: Before we go any further, let me clarify that I am not an attorney and the information in this article should not be interpreted as “legal advice”. Every state has different laws and every real estate transaction has unique variables that can affect these standard processes and documentation listed below. Even though these are the steps & documentation I use in my closings – don’t assume that this information is fully applicable to your situation. Before you act on anything described below, be sure to consult with an attorney or legal professional in your area to confirm that you’re working with the right information, and if you're at all uncertain about how to handle this documentation, don't guess and hope – hire an attorney or title company to complete the closing for you. Let's suppose you are contacted by someone (Person C) who wants to sell you a property that is NOT currently titled in their name – but it is titled in the name of two deceased persons (Person A and Person B) who intended for Person C to inherit the property after their passing. In order to close the gap and give Person C the legal right to sell this property and sign the deed over to you, you're going to need a few additional documents to create what's known as a “clear chain of title”. Which Situation Are You Dealing With? Scenario 1: Person A and Person B left their property to Person C in a Will. If you're working with a seller who has a Will from Person A and B (explaining that they intended for Person C to become the legal owner after their passing), the existence of this will is a good first step in the right direction, but it isn't entirely what you'll need in order to close the deal. With this Will in hand, Person C will need to file a petition with the county probate court, requesting permission to sell the property on behalf of the deceased owner's estate. With this action, the estate will be opened, and assuming there are no restrictions or contests from other heirs as to the sale of the property (which would be difficult to support, given that Person C has a Will that clearly explains who the intended beneficiary of the property is), the court will issue a document called the “Letters of Administration” (aka – “Letters of Authority” in some states), stating that Person C is the Personal Representative (aka – Executor) and has the authority to sell this property on behalf of the estate. Once these documents have been recorded with the County Recorder (aka – Register of Deeds), and assuming there were no other issues in the title work, you will be the new owner with a clear chain of title! Scenario 2: Person A and Person B left their property to Person C in a Trust. If you're working with a seller who claims to be the rightful owner of a property because it was left to them in a Trust, you're going to need a few things. To explain this adequately, we need to start with a basic understanding of what a trust is. A trust is a legal document created by the original property owners (in this case, the ones who have passed away). A trust is not a legal entity and it is not a document that gets recorded by the county. This document is simply a legal agreement, where the Settlor (i.e. – the original property owner) lays out all the details about what is supposed to happen with their assets after they die. The benefit of having a trust is that when the Settlor dies, there is no ambiguity about what should happen with their assets. In the event of the Settlor's death, all of their assets and will automatically SKIP the normal probate process (as described in Scenario 1) and go directly into the trust. What this actually means is that the assets are now controlled by the Trustee. A Trustee is a person whom the Settlor (i.e. – the deceased property owner) designated to carry out the plan as described in the trust. This person is legally obligated to carry out the plan as it is described in the trust for the benefit of the Beneficiaries listed in the trust. The Beneficiary is whoever the Settlor designated as the person or entity to receive their assets after the Settlor's death. For example, if Person A & Person B (the Settlors) wanted their car to be given to Person D (the Beneficiary) and Person C was designated as the Trustee… Person C would be under a legal obligation to ensure that title to the care is legally transferred to Person D. Make sense? Sub-Scenario 1: Person C is listed as the Beneficiary of the property, and the trust authorizes the Trustee to transfer the property directly to the Beneficiary. In this case, Person C should already be the current owner of record (or if the Settlor(s) just died, the Trustee should be transferring property ownership to Person C very soon). In this case, Person C needs to (once they've received ownership of the property) create a new deed and transfer the property to the new buyer. Sub-Scenario 2: Person C is listed as the Trustee of the of the Trust, and the trust authorizes the Trustee to liquidate the property for the benefit of the Beneficiaries. If Person C is the Trustee, they will have the full authority to sell the property to a third party – because the primary objective is to liquidate the property for cash (rather than transferring it to any particular person). In this case, they will need to sign the deed on behalf of the trust, sign a Certificate of Trust (which should be dated within the past 12 months, verifying their role as the Trustee) and give the buyer both of these documents along with the original Death Certificates of both Settlor(s). Once the buyer has these four documents recorded, they will be the new owner. Sub-Scenario 3: Person C is listed as the Beneficiary of the property, and the trust authorizes the Trustee to liquidate the property for the benefit of the Beneficiaries. 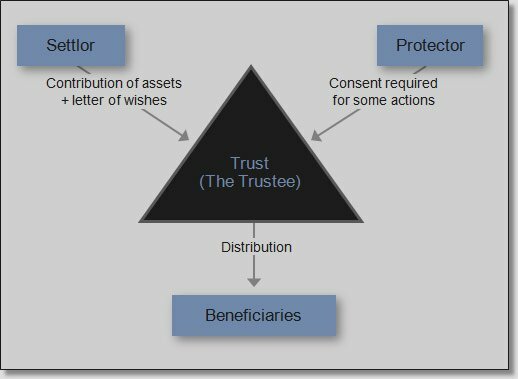 If the Trust authorizes a third-party Trustee to sell the property and give the proceeds to the Beneficiary (and assuming this hasn't already happened), the buyer will have to collect the same four documents as listed in Sub-Scenario 2 above. The only difference is, this third-party Trustee will have to be in agreement on the sale price. If the Trustee is simply an unbiased party (like an attorney or a trust management company) and they'll do whatever Person C (and the trust document) instructs them to do (i.e. – sell the property and get the cash), then the process should be relatively simple. If however, the Trustee is a biased party (like a sibling, or anyone who wants to sell for more than the buyer is willing to pay), then this request could be more challenging. In order to determine which of these scenarios you're dealing with, you'll want to start by checking to see who the current owner of record is. If the last deed of record states that the property is currently owned by a trust OR if the last deed of record is a Lady Bird Deed (a type of deed that automatically transfers the property to a trust in the event of the owner's death), then you can automatically eliminate Sub-Scenario 1. Once you've verified that the property is currently owned by a trust, your next step is to find out who the trustee is. You can do this by obtaining a copy of the trust (along with any other amendments to the trust). In most cases, this is something Person C should be able to provide you (and if they can't provide it, skip ahead to Scenario 3 below). Once these four documents have been recorded with the County Recorder (aka – Register of Deeds), and assuming there were no other issues in the title work, you will be the new owner with a clear chain of the title! Scenario 3: Persons A & B did not complete a will or a trust, and the property has not gone through probate. In this dreaded scenario – there is no Will, there is no Trust and there is no plan. When a property owner dies before they've put a clear set of instructions in place, the property will be stuck in limbo (unable to be sold by anyone) UNTIL the estate of the deceased owners goes through probate. If when you start your conversation with Person C, this process hasn't been started yet – they will have to file a petition with the county probate court in the county where the property is located. 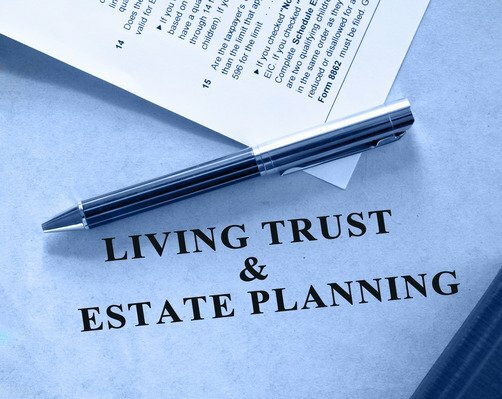 Through this process (which can be very time-consuming, especially if there are multiple heirs fighting over the estate), the court will ultimately establish someone (preferably, the person you're working with) as the Personal Representative of the estate. Essentially, the process is similar to Scenario 1 – but since there is no Will to speak of, the court has no clear guidance as to who should be given control over which assets. Granted, if there is only one heir apparent, then the process doesn't need to be long or complicated – but if there is any question about how assets should be divided, things can go downhill quickly. When someone has finally been established as the Personal Representative (aka – Executor) of the estate, the court will issue a document called the “Letters of Administration” (aka – “Letters of Authority”). You can see some examples of what the document looks like in Michigan, California, Illinois, and New York. This document gives someone (ideally, Person C) the legal authority to sell the property on behalf of the deceased person's estate. This document bridges the gap in the chain of title – even though the deed hasn't technically been transferred from Persons A & B to Person C.
Once these four documents have been recorded with the County Recorder (aka – Register of Deeds), and assuming there were no other issues in the title work, you will be the new owner with a clear chain of title! 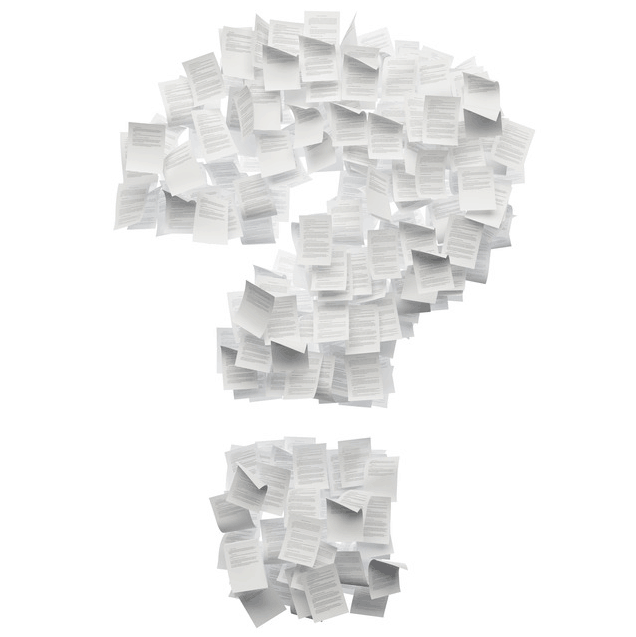 The problem with probate is – it isn't always cut and dry. When the probate process is started, notice must be given to all others who could potentially be in line for the role of “Personal Representative”. If any of them speak up and expect to play a role, you can probably imagine all the back-and-forth this can cause, which can potentially last for years before anyone is finally given the legal authority to sell the property. When I encounter Scenario 3, it's probably the most common situation where I'll simply say, “Thanks, but no thanks” and walk away. That's not to say there aren't some situations where it can work out and/or it's worth the wait – but if you're looking to get in and get out quickly, you'll probably find that these deals hold far more headaches than they're worth (especially if it's a cheap property to begin with). Scenario 4: Persons A & B did not complete a will or a trust, but the property HAS gone through probate. If a property has already gone through probate, and if someone (ideally, Person C) has been established as the Personal Representative/Executor of the estate, they should have the original Letters of Administration (aka – Letters of Authority) from the county court. In case I didn't make it clear in my comments above – remember that whenever you're submitting a document to the County Recorder/Register of Deeds, the document must be an original. This goes for Death Certificates, Letters of Administration, Certificates of Trust, Deeds, Affidavits, Memorandums, everything (a copy of a death certificate isn't going to work – it needs to be the actual, original document). If you're working with someone who says they don't have the original copy of a death certificate, tell them to request a NEW original copy from the county! A death certificate is NOT a one-of-a-kind piece of paper. These can always be reproduced upon request (and usually for a small fee). As for a Certificate of Trust or a Deed – since these documents are typically created as part of the closing, it shouldn't be difficult to get original copies of these (because either you, your title agency or your closing attorney should have the original copies in your possession once the closing is complete). And as for the Letters of Administration, I've found that these can be more difficult to reproduce on request (especially if the document was issued by the court decades ago). If you encounter a seller who claims they are the Personal Representative but they don't have the document proving so – try requesting it from the county courthouse. Even if they can't provide an original copy, they may be able to provide a copy of the original document (and in some cases, if it's paired with an affidavit of authenticity, it might be just enough to check the box :). If after reading all of this, you haven't picked up on the importance of a Will or a Trust yet – I'll just say it clearly right now… if you have ANY personal assets to speak of (including your children, pets, or any other physical items you control in any way) – do the world a favor and set one up. It's not hard – and the existence of this document could potentially save your loved ones from innumerable headaches and heartaches they shouldn't have to deal with after you're gone. In TX and some other states we have an “Option 5”! Affidavit of Heirship!! Basically the seller has a friend of the family fill out a detailed family history with dates of death, marriages, children, counties lived in… it’s intensive. A lawyer prepares it, a witness signs with a notary, and the heirs listed own the property with a complete chain of title. This is all completely outside of probate and can be done anytime in the future. Two uninterested parties must sign for most title insurance policies. Some states that allow this are more restrictive than others as far as whether it can be used on real property and the property value. I’m filing four of these for one property that should close this month. Was originally set to close the first week of Nov 2015. Worth considering for anyone with big profits blocked by title issues in an affidavit state. Thanks for sharing that Tim! It always amazes me what kinds of tricks and workarounds are available in some states and not others. Sometimes it’s just a matter of the closer knowing what kinds of alternatives are available (with the right knowledge, you can turn a lot of obstacles into opportunities). This has the potential to save a lot of heart ache. I’ve seen families torn apart because there was no will or trust. This is some solid advice for any family without a plan. Because building homes I’ve personally seen family relationships crumble and break. Death of a family member is bad enough. It should be a time when family gets close and doesn’t worry about who gets this and that. Great post! I totally believe it Nick! Thanks for sharing your experience. It’s something everyone ought to have – but unfortunately many don’t have the foresight or knowledge to handle it the right way upfront. Thanks for your public service of informing people. I hope that it helps someone along the way! Thanks Nick! I hope so too! You bet Tina! If you’re feeling at all stuck in the process – don’t be afraid to reach out to a trained title professional… it’s a small price to pay for making sure the job is done right. Hi Charles – I honestly have no idea… I’m not familiar with the terminology you’re using (which isn’t uncommon, as these things can vary quite a bit from state to state). It sounds like you might want to find an attorney in Louisiana and get their take on it. Sorry I can’t be of more help here. Best of luck! 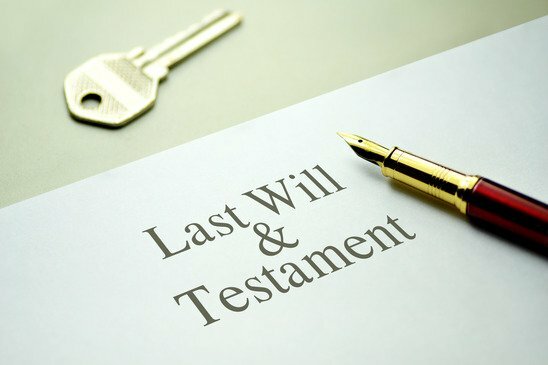 If the deceased owner has written a will to someone not around that they know,Is it possible that the home just sits there until it is.claimed? If nobody takes any action to get the deed (or the authority to transfer the deed) into the right hands, I suppose it’s possible. I’m interested in a property that will be sold at a sheriff’s sale. The owner is deceased and I can’t find any record of a probate case on the online docket search in either the county where the property is located or where he died. How is this possible and is this too complicated to pursue? How do you find those people that are deceased and still have the property in their names? Hi Yvonne – I typically come across them when doing direct mail campaigns, and I find out (when they contact me) that they are the heirs of the original owners. Thank you and I appreciate the response. My girlfriend said she owned the barn given to her by her mothers will. I did the barn up as a living house costing me every cent I had and most of the work done by myself. We now have a lovely home. Then I asked for planing advice from local council.I was told no as the barn now house never was owned by her or her family.She was warned of this but she said she has prrof and land book of her dead mother. This is not true as research in land office show no land book issued in 90 years. can i buy this place as she has nota single penny I am English she Latvian what can i do? I have a Letter of Administration for my deceased mom’s estate in NC. She owns a lot in Florida. Will my NC Letter of Administration allow me to transfer the title of the Florida property to my name?